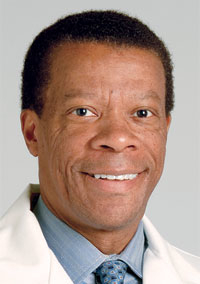 The nine winners of this year's annual awards for outstanding achievement in applied medical informatics from the Association of Medical Directors of Information Systems share a common theme, according to AMDIS President William Bria—they know how to employ information technology to get the patient-care improvement job done. The AMDIS competition previously yielded as winners many physician champions who led their organizations through the perilous waters of vendor selection and systems implementation. Now the majority of the awards under the program, in its 11th year, are presented to individuals whose IT projects go beyond getting systems up and running—though there are a few of those, too—but rather, focus on using IT to drive process improvement and advance patient safety, says Bria, who is also chief medical information officer of the Shriners Hospitals for Children system, based in Tampa, Fla.
“The winners this year are men and women who have figured out how to take these tools and use them for what they're good at, to enable data collection and data reporting and process change,” Bria says. The judges again this year were: Bria; Raymond Aller, director of automated disease-surveillance systems for the Los Angeles County Health Department; Bill Childs, vice president, Vitalize Consulting Solutions, Reading, Mass. ; John Glaser, the outgoing vice president and chief information officer at Partners HealthCare System, Boston; Howard Landa, CMIO at Alameda County Medical Center, Oakland, Calif.; Brian Malec, professor of health administration and chairman of the health sciences department at California State University at Northridge; Blackford Middleton, corporate director of clinical informatics research and development at Partners HealthCare; and Harris Stutman, executive director of research at MemorialCare Medical Centers, Long Beach, Calif. The Cleveland Clinic has an electronic health-record system called MyPractice for its clinicians and a tethered personal health record, MyChart, for its patients. So why did it want to partner with Microsoft Corp. on a pilot home health project using the software giant's HealthVault PHR platform? By using HealthVault, Cleveland Clinic could focus on what it does best, patient care, while the clinic could leverage Microsoft's gravity as the biggest planet in the software universe to solve the problem of interfacing with multiple home health devices, according to award-winner C. Martin Harris, a physician and the clinic's chief information officer. The partnership with Microsoft let the Cleveland Clinic build just one interface, between its system and the HealthVault platform to monitor patients' blood glucose meters, blood-pressure cuffs, weight scales and pulse oximeters. Under the six-month pilot, about 250 patients entered data from their home health devices via a home computer into HealthVault, where the information moved directly into the clinic's EHR. “So, that's a very promising model,” Harris says, particularly with the more than 75 million baby boomers aging and not enough healthcare professionals available to care for them using traditional means. 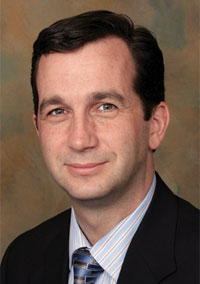 Integration is the future for Michael Oppenheim, vice president and chief medical information officer at North Shore-Long Island Jewish Health System based in Great Neck, N.Y., where since 2002 he has led both the implementation and the customization of electronic health-record systems for the 10-hospital organization. A major accomplishment during Oppenheim's tenure thus far has been the implementation of an inpatient EHR at North Shore-LIJ. “We're expecting to have all of the hospitals and health systems on all of the core elements of the EMR by 2013,” says Oppenheim, a physician. But he has also helped develop an EHR strategy to assist 7,000 affiliated physicians in the service area of the organization to purchase and deploy EHRs in their office-based practices. “What's incredibly exciting about what we're doing at the health system is the belief the future depends on its ability to integrate care across all components,” Oppenheim says, not just the hospital or doctor's office, but also home care, long-term-care facilities and hospice. Getting all of these providers and care settings wired up and interconnected “is necessary to set us up for any kind of bundled-payment, quality-based payment system. We believe they're all coming. “This transcends not only all of the North Shore-Long Island Jewish facilities, but all of the providers in the geographical area,” Oppenheim says. 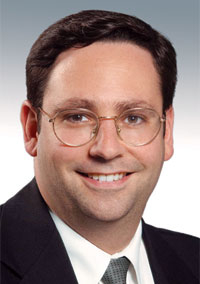 “We started enrolling toward the end of 2009,” Oppenheim says, adding that he expects a “surge” of signups and rollouts by affiliated physicians through 2011, which includes much of the first “payment year” under the Medicare portion of the federal EHR subsidy program of the American Recovery and Reinvestment Act of 2009. Faculty practices should be all up and running by 2012, he adds. Affiliated physicians will be offered two “tiers” of financial support from the hospital for EHR installations, which will avail itself of the 2006 Stark and anti-kickback law exemptions, Oppenheim says. The hospital will pay a 50% EHR subsidy for affiliated physicians interested in sharing clinical data on specific patients for clinical use, he says. North Shore-LIJ will subsidize the maximum under federal waivers, 85% of an EHR's cost if a physician will share data on all patients—“to pull quality metrics across the region,” Oppenheim says. 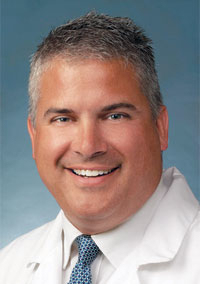 Todd Rowland is both a physician and the executive director of HealthLINC, a regional health information organization based in Bloomington, Ind. In 2003, only about 3% of medical practices had electronic health-record systems in HealthLINC's key southern Indiana service area, prosperous and bustling Monroe County, home to Indiana University, and largely rural Orange County, gateway to the Hoosier National Forest. A year later, Rowland helped found HealthLINC and by 2009, more than half of physician practices in Monroe County and 76% in Orange County have functional EHRs, progress “directly facilitated by HealthLINC activities,” according to AMDIS. 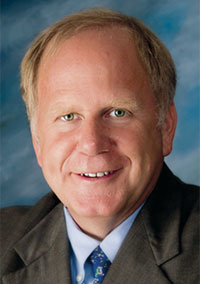 Rowland has had some pioneering RHIOs as models in the vicinity: Cincinnati-based HealthBridge, whose turf now extends into far southeastern Indiana, and the Indianapolis-based Indiana Health Information Exchange, which grew out of the work by the Indiana University-based Regenstrief Institute. The three have teamed up to create a multi-RHIO health information network. At HealthLINC “We're moving lab data in a structured way,” Rowland says. “We don't have all the labs yet. Nobody ever does. Even HealthBridge that's been up for 13 years, they don't have all the labs onboard. “We get all the radiology reports and the medical records from two hospitals,” Rowland says. HealthLINC also has developed interfaces with two vendors' EHRs to push Web-based clinical messages directly into physicians' EHRs. As with most RHIOs, “Sustainability is a problem,” Rowland says. “As long as hospitals look as this as a cost beyond normal operating business costs, it will be a problem, and they will still continue to look at it that way. Our goal is by the end of 2011 to be financially sustainable,” Rowland says. 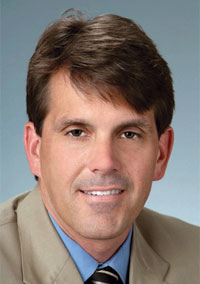 “I think what's changed for us is meaningful use and all the grant funding,” he says, referring to requirement in the 2009 stimulus law that in order to receive a slice of the billions in federal subsidies available for the purchase of an EHR, providers must demonstrate they can meaningfully use the systems, including exchanging information to improve patient care. Chris Snyder, chief medical information officer for 366-bed Peninsula Regional Medical Center in Salisbury, Md., has a lot of the top-end, clinical information technology toys to play with—closed-loop medication management; computerized physician order entry; medication scanning and storage; diagnostic results reporting; and a comprehensive longitudinal data repository. Snyder, a hospitalist, played a hands-on role in seeing these systems implemented, particularly CPOE. With a medical staff of 400 composed largely of affiliated physicians not employed by the hospital, simply installing CPOE and then mandating its use wouldn't work as a rollout strategy. That meant Snyder had to do a lot of one-on-one proselytizing and training to get to where the hospital is now, with 85% of orders generated through CPOE. 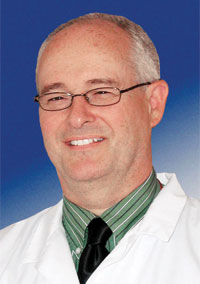 Snyder's strategy in 2005 was to introduce CPOE first in orthopedic surgery, then to general surgery, urology and the eight employed hospitalists, then deploy it slowly across the hospital. Snyder says he could get away with such hectoring for two reasons, “I'm a practicing CMIO, so I think they still have some respect for me.” But the main selling point Snyder says he preached was patient safety. In 2009, with CPOE adoption well on its way, the hospital finally mandated its use via a directive from the medical staff executive committee. But even then, full physician adoption wasn't a sure thing. Snyder says he spent some time thinking of the best demonstration he could implement locally. He says he recalled a study conducted by a hospitalist staffing firm on the effects of dosing Dilaudid, a narcotic painkiller. “I started looking at the data to see if we had a problem, and we did, just as every other hospital,” Snyder says. But Snyder knew that CPOE could guide physicians to computer-generated forms to limit what could be ordered and prompt the ordering physician if they picked too much or too little. Since the prompt was introduced, the hospital has achieved a 19% reduction in adverse drug reactions with Dilaudid, according to Snyder. Jonathan Sykes, the chief medical information officer and director of clinical information systems at 391-bed Allegiance Health, has seen both the Scylla and Charybdis of clinical quality improvement and led the fight to tame both. On the one side, to satisfy an increasingly safety- and quality-conscious public, including employer healthcare groups, providers must push health information technology to measure and drive improvements. On the other side, push too hard on providers with miscalibrated IT tools and the providers will push back. A key area of contention is in the use and adjustment of computerized clinical decision-support systems. Sykes says many of the employers in and around Allegiance's home town of Jackson, Mich., are suppliers to the auto industry in Detroit, which is roughly 80 miles east on Interstate 94. Not surprising, the quality, cost and patient-safety initiative of the Leapfrog Group, which publishes hospital patient-safety measures and includes a push for effective use of computerized physician order-entry systems. General Motors Corp. and Chrysler Corp. are members of the Leapfrog coalition. Allegiance set a goal to reduce medication-linked drug errors, so Sykes led a program to add medication alerts to the existing hospital CPOE system. The tricky part, Sykes knew, is to have sufficient alerts firing to flag errors and improve safety, but not so many as to overwhelm clinicians, promote “alert fatigue” and run the risk of vital alerts being ignored. In the first month when the alerts were turned on full blast, the CPOE system fired off an average of 115 alerts a day, which Sykes, a physician, realized could quickly become a nuisance and risk CPOE use overall. The data was analyzed and a group of clinicians, including physicians and pharmacists, was recruited to come up with a list of recommendations to block the reporting of certain alerts to clinicians, even though the system quietly recorded each, reported and unreported. The panel also vetted any provider complaints. By suppressing selected alerts, the total number displayed by the CPOE system was cut nearly in half, to 64 to 68 a day. Physician use of CPOE was maintained, while “reported” drug prescribing errors fell from an average of 0.62 per 1,000 orders between January and August 2009 to 0.50 per 1,000 orders between September and December 2009, according to Allegiance. 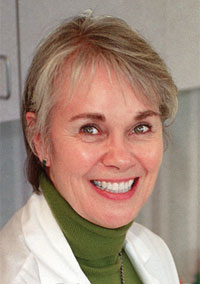 Sidna Tulledge-Scheitel is a practicing primary-care physician and medical director for global products and services at the Mayo Clinic, which, despite its international reputation for medical specialists, also provides primary-care services to 140,000 residents in the Rochester, Minn., area, including its own employees and their dependents. 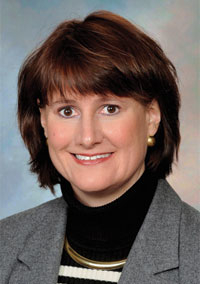 As such, Tulledge-Scheitel is helping lead Mayo to promote better chronic-care management and improve care coordination for its primary-care patients, particularly through its Mayo Clinic Health Manager. Launched in 2007, the online tool combines a personal health record and a library where patients can access Mayo-created health content as well as receive alerts and reminders for various conditions. Mayo is working in partnership with Microsoft Corp., using its HealthVault personal health-record platform. Tulledge-Scheitel says a rules engine in the system can trigger health recommendations, such as for immunizations, cholesterol checks, colon cancer screening and Pap smears. For example, adaptations for asthma and diabetes patients as well as pregnancy are coming out this month, she says. Tulledge-Scheitel also serves as an assistant professor in the Mayo Clinic College of Medicine and is a member of the board of directors of the Institute for Clinical Systems Improvement, Bloomington, Minn., created in 1993 by Mayo, along with HealthPartners and Park Nicollet Health Services, two Minneapolis-area health systems whose aim is “to promote better outcomes, better chronic-care management and more coordinated care,” according to the Mayo organization.